When summer is in full swing, it means picnics, family bike rides, BBQs, and lots of dinners on the patio. 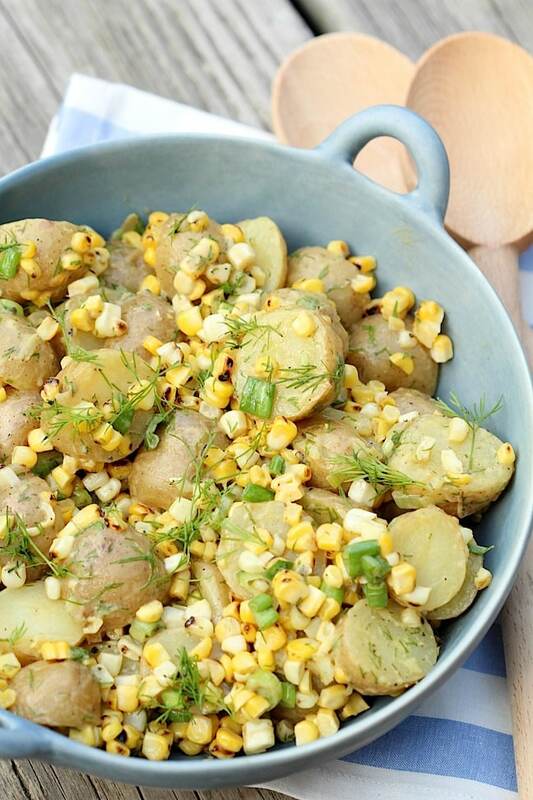 A popular summer salad which I was never really able to get behind is the traditional potato salad. I just find it too heavy with mayo and much too creamy for my liking. 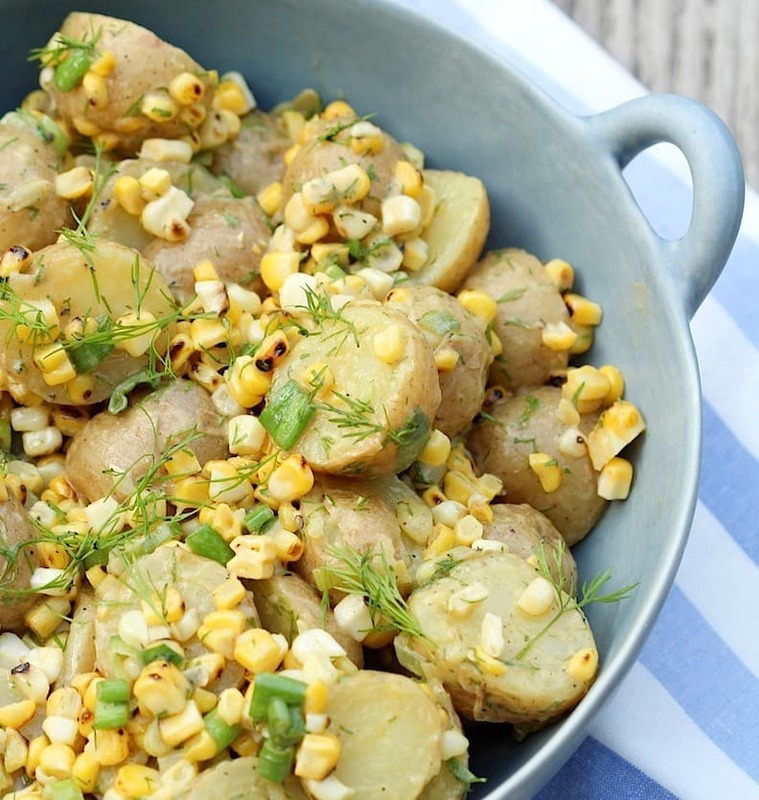 I do, however, love the idea of grilled corn, fresh dill, and tangy mustard in my potato salad, and that’s just what I did to recreate this classic dish. This recipe makes for excellent leftovers, and it’s so easy to whip up to bring along to a lunch or dinner party. It won’t leave anyone feeling weighed down by heavy mayo, and you can proudly say it’s vegan! Recipe and photos contributed by Sophia Zergiotis of Love and Lentils. 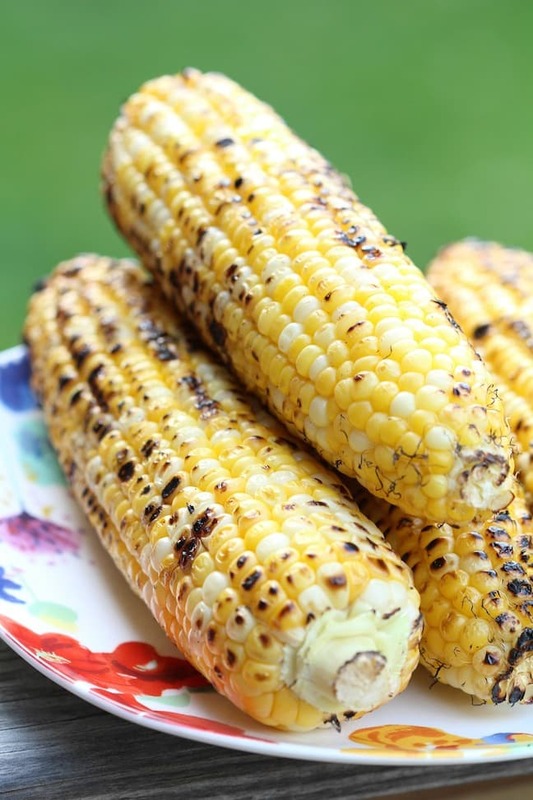 Place corn on grill over medium-high heat. Grill until tender and slightly charred, about 10 minutes. Remove from heat, let cool slightly before handling, then cut off kernels using a sharp knife. Place into a large bowl. In a large saucepan of boiling salted water, cook the potatoes until tender, about 15 minutes. Drain and slice in half. Add to the bowl of corn, along with green onions, mustard, salt, pepper, vinegar and dill. Toss all to combine well.